China Putt-type Pipe Inspection Camera supplier - high quality Pipe inspection camera Simplified series for sales, Pipe inspection camera Simplified series manufacturer. Putt-type pipe endoscope camera can detect other devices can not enter the narrow curved space, with high-performance lithium battery power supply, a wide range of visibility and image clarity, cost-effective features. 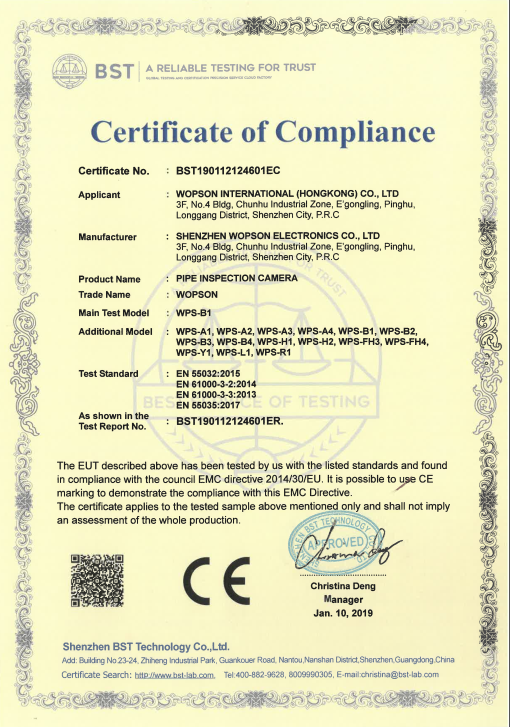 Wopson Technology Co., Ltd. to provide you with detailed product price, product pictures and other product information, you can directly contact the manufacturer to obtain the specific information pipe endoscope, contact please explain.